Robert Hayward “Bob” Webb was born in New York around 1915 according to the 1930 U.S. Federal Census. He has not been found in the 1920 census but his parents, Thomas and Sarah, were residents in Bridgeport, Connecticut. His father was an engineer at a machine shop. The 1930 census recorded Webb and his parents in Bridgeport at 694 Courtland Avenue. His father was employed as a mechanical engineer at a brass company. In 1937 he was a student at Pratt Institute. The school annual, Prattonia 1937, listed his address: 694 Cortlandt [sic] Ave., Bridgeport, Conn. 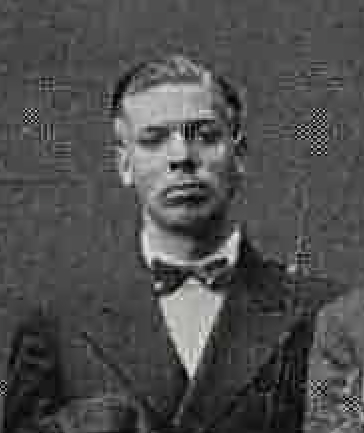 The Illustration II X class photo pictured him (see photo) with Lillian Chestney, Charles Cuidera, Gerald McCann, and Samuel Weissman. In 1939 he graduated from Pratt. The Brooklyn Eagle (New York), June 8, 1939, listed the graduates and several of his Pictorial Illustration classmates went into the comic book field: John E. Ayman, William T. Bossert, Lillian Chestney, Charles Nicholas Cuidera, Philip J. Dring, Charles Mazoujian, and Stanley M. Zuckerberg. 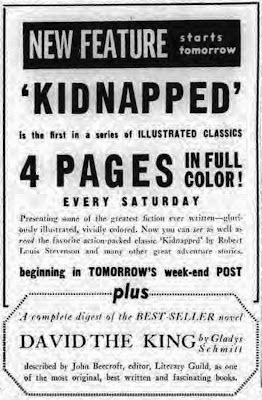 Webb penciled three Classics Illustrated comic book adaptations: Robert Louis Stevenson’s Kidnapped (April 1948), R.H. Dana, Jr.’s Two Years Before the Mast (June 1949) and Jules Verne’s Mysterious Island (June 1949). Kidnapped appeared first in the Sunday comics section of many newspapers. 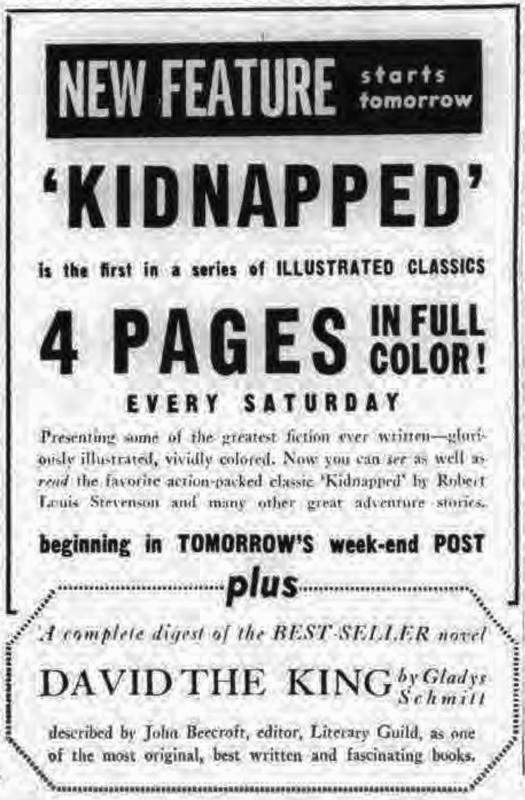 The New York Post, March 26, 1947, said: “…‘Kidnapped,’ the first in a series of ‘Illustrated Classics’ in striking four-color comic strip form will be presented in four installments, four full pages each on successive Saturdays as an extra attraction of the Post’s brimful week-end edition.” The first installment was published on March 29. Mysterious island, by Jules Verne, adapted by Manning L. Stokes, illustrated by Robert Hayward Webb and David Heames. [New York, Gilberton co., 1947] 55 p. col. illus. 26cm. (Classic comics. Feb. 1947. no. 34) © publisher; 11Mar47; AA53546. 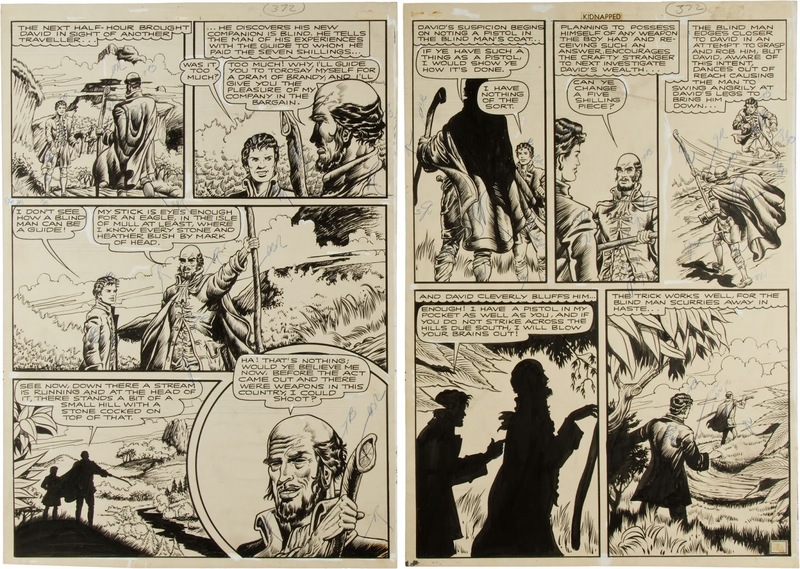 Webb worked in the comics industry for nearly thirty years. Employed at the Iger Studio he produced material for comic books during the 1940s. Webb had a notable run illustrating Sheena, Queen of the Jungle stories. In 1952 he and Rod Maxwell produced The Hawk for Jerry Iger, but it never ran in U.S. newspapers. An overview of his career is at Who’s Who of American Comic Books 1928–1999, and the Grand Comics Database has specific information on where his work appeared. The Social Security Death Index has a person named Robert H. Webb who was born April 12, 1915 and obtained his Social Security number in New York. He passed away September 11, 2000, and his last known residence was Capitol Heights, Maryland. An obituary was published in The Independent (Maryland), September 13, 2000. 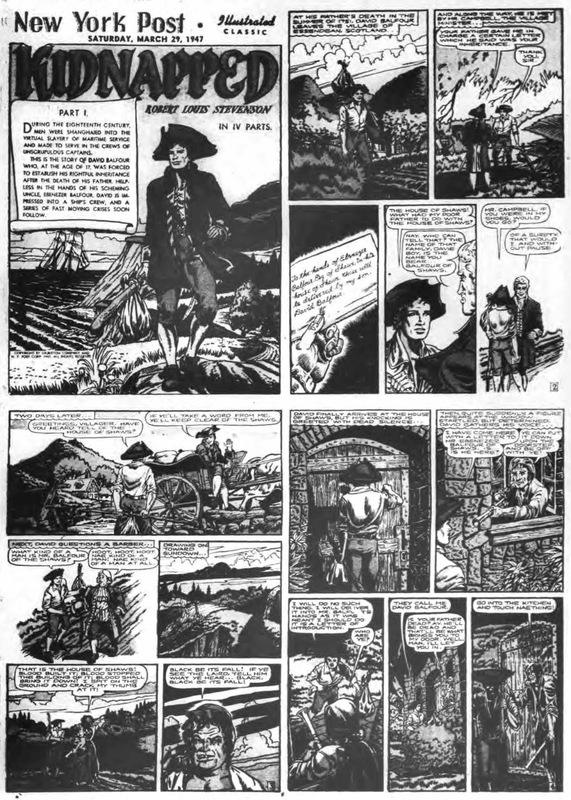 At least nine weeks' releases (54 strips) of the daily newspaper strip The Hawk, by Rod Maxwell (a pen name for Ruth Roche) and R. H. Webb, were probably produced around 1952 for Jerry Iger's Phoenix Features. The strip was advertised in E&P until 1969, but it was never released in any US newspapers. The Hawk strip was, obviously, an alternate version of the comic book series. Strips nos. 42-48were published in The Menomonee Falls Gazette, Vol. 5, no. 214, January 4-10, 1976. Sorry, didn't catch that reference in Alex's post. I'll correct it.